It seems like everywhere you turn in our industry, someone’s discussing the pros and cons of Zillow, Trulia and realtor.com. It’s understandable — these companies are driving big changes in real estate advertising that will influence our industry for years to come. And although I prefer to stay out of the pro/con debate, I do think our portal focus has obscured a fundamental truth about real estate: Leads come from agents. Agents farm for leads. They work by word of mouth. They share business through agent-to-agent referrals. They door-knock, build relationships in neighborhoods and sit for endless open houses to create that magical point of engagement when a prospect becomes a client. Yet the narrative currently gripping our industry sometimes positions agents as the passive recipients of leads generated by the portals, which are gobbling up consumer attention. And I say this as the CEO of an agent-to-agent referral company. I simply think we’ve lost focus. So let’s look at some facts, because reality is easy for us to see if we take just a moment to look for it. The National Association of Realtors, in its annual survey of members, asks agents where they source their business. In 2014, Realtors reported that 9 percent of their buyer and 4 percent of their seller business came from Internet sites — a small slice compared to other (more important) sources like past clients; referrals by a neighbor, friend or broker; or a visitor to an open house. 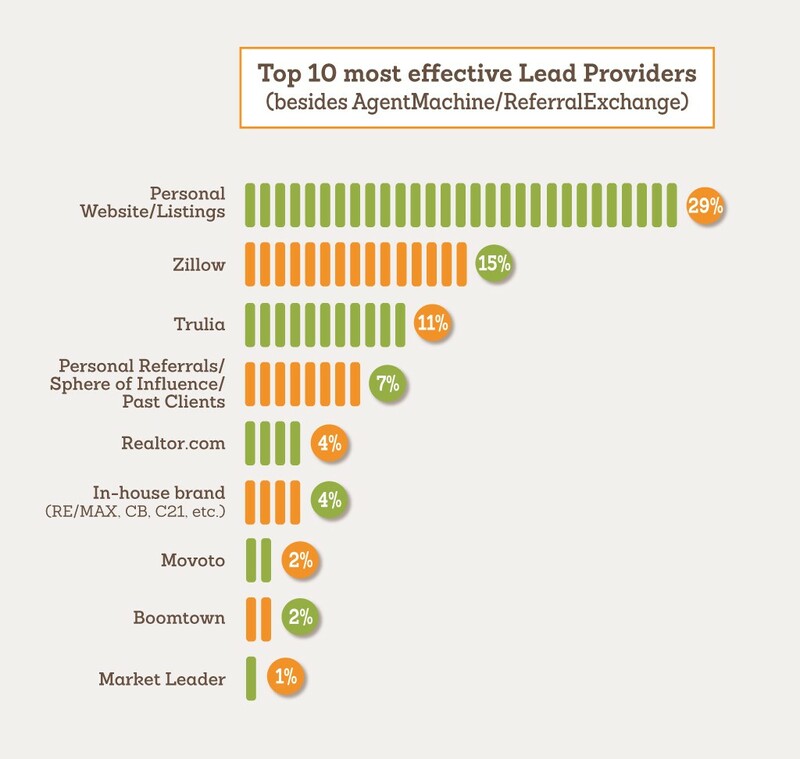 ReferralExchange recently surveyed 7,800 agents in our network about where they get leads. The results reflected the online bias we expected, given the fact that agents in our network were working with us, but the results were nonetheless striking. Zillow and Trulia are important lead sources, but they are far from dominant. In fact, agents’ own websites came out on top. Wherever you come down on the “portals are good/portals are bad” debate, I think we can all agree that agents — especially the good ones — remain firmly in control of their own destiny. The industry is focusing on portals, while most agents are going about their own business. “So what?” you might ask. Well, this disconnect has consequences. First, the portals themselves have benefited from the chatter — and the controversy — that surrounds them. While the chorus of portal haters reverberates endlessly, the portals themselves push out their own aggressive countermessage. Lastly and most importantly, the narrative of portal-dependent agents creates a story of disempowerment that diminishes the stature of real estate professionals. This isn’t good for anyone. Portals are but one means of customer acquisition in a fluid, multichannel marketing world. They themselves often underscore just how small their businesses are compared to the total number of real estate advertising dollars spent by agents and brokers. So please, while we all marvel at the success of these new online companies, let’s keep this in mind: It’s agents who drive the leads — and most everything else — in this business. Scott Olsen is the chief executive officer of ReferralExchange.com. Article image credited to Prospect image via Shutterstock.